Toronto's ever important spring real estate market is here, and so is our 12th annual real estate roundtable. 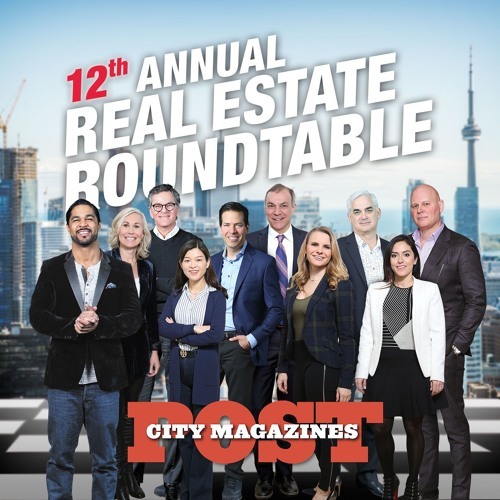 For the 2019 edition of Post City Magazines' real estate roundtable, we took our show on the road for a fiery and informative live event in front of an audience of 550 people at the Rotman School of Management. We assembled our most distinguished (and opinionated) panel of real estate insiders including CIBC economist Benjamin Tal, CBC Dragon Michele Romanow, developer Maryam Mansouri Hurst, condo king Brad Lamb, former chief planner of Toronto Jennifer Keesmaat, real estate agents Michael Kalles and Barry Cohen, interior designer Brian Gluckstein, HGTV Canada host Sebastian Clovis and professor at Rotman Lu Han. In this lively discussion, these insiders cover everything from affordability to government intervention, political impacts and a possible recession.